Please remember to check Firefly for your class blogs for homework, notes to parents and a lovely selection of photos from your child’s day. Please remind your children to dress in their Chinese outfits, or something red or gold, to celebrate our very first Celebrating Mandarin Day! The whole day, from year 1 to 8, has been structured around fun learning activities in Chinese. 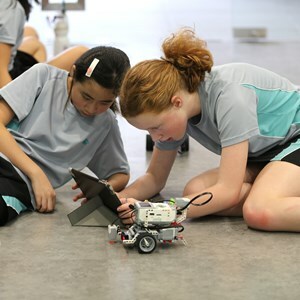 This includes story-telling, fashion show, craft activities and role-playing (our secondary classrooms are being transformed into our very own ‘China Town’ of restaurants, shops and travel agencies). The day ends with a whole-school Assembly with songs and a Lion Dance. We’re trying out our ‘Live Streaming’ coverage so that, if parents would like to join us, they can watch the Assembly from the cafeteria (starting at 1.30pm to 2.30pm). If the Live Streaming works well, then we’re looking forward to using it for lots of future activities. Thank you to the almost 200 parents who joined us on Wednesday to hear Mr Cooklin and our CEO, Mr Fitzmaurice talk about plans for the school, and to hear your concerns about the proposed annual levy. The minutes and outcomes of this meeting are being prepared as we speak and we will be sharing these with all parents early next week. Presentations will be shared after if you’re not able to attend. 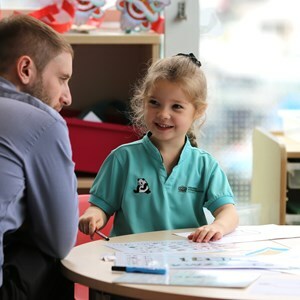 Next Friday all our teachers will have a full-training day as part of Nord Anglia Education’s commitment to ensuring that our staff have the latest teaching skills and experience. The following week is our Chinese New Year holiday and school starts again on 15 February. 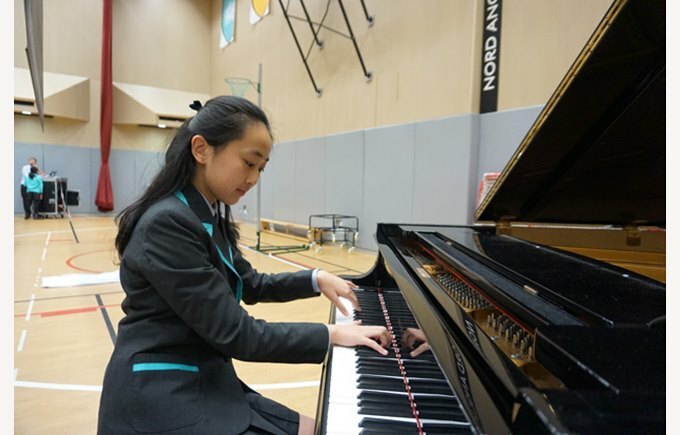 Another of our new students, Sophia Gong, stunned us all with a beautiful performance on the piano. A real talent to watch! 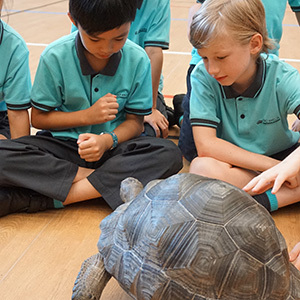 Thank you also to Mr Williams and Mrs Knight’s 5B class for their excellent assembly on animals that live in Hong Kong. We all came away knowing a lot more about the incredible wildlife that shares our countryside and shores, including the giant centipede, pink dolphin, king cobra and giant octopus. Finally, this week we celebrated “ambitious learners”; those who demonstrate enthusiasm and a positive attitude in their learning. Mr Bishop reminded our Secondary School students this morning that “good manners don’t cost you anything, and will take you a long way”. Our students were reminded about simple things such as saying “good morning”, making good eye contact and being respectful of each other. Mr Bishop spoke about the value of showing sympathy when we see people hurt or upset. These may seem like simple things, but we believe these are values that should be engrained in all our children and that our older students should lead by example. Our rapidly improving team of basketball legends (!) have qualified for the HKSSF (Hong Kong Schools Sports Federation) play-offs. They’ll be playing at HKIS tomorrow, ably accompanied by NAIS’ Mr Basketball, James Malone. In the first game, our Knights are playing against SIS, to whom they lost by one basket last week. Our boys are looking forward to avenging their loss! Our Netball girls will be playing in their first HKSSF fixture for this term in Aberdeen after school on Monday. Miss Kenny and Coach Sid will be taking the girls to this event which will pit them against Island School, AIS, HKIS, CDNIS, West Island and CIS. Our first touch rugby match will be a friendly against Kellett next week. We have boys and girls playing from years 3 to 6. Mr Reid is delighted to be getting our touch rugby team some competitive matches to build their strength as the team develops. Our gymnasts will be representing us in the HKSSF competition with team manager, Mr Holt. If you missed this week’s workshop on how we teach maths, please click here to review the presentation. 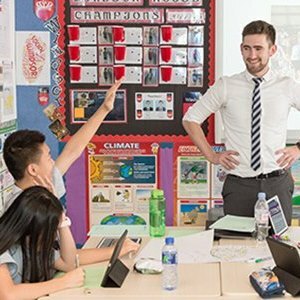 If you still have questions, please feel free to email Robyn.Dowding@nais.hk or Katie.Byrne@nais.hk. Ms Khalik has asked if all interested parents could email her with their name and the country they would like to represent (before 4 February, please). At this stage there is no commitment to get involved, but if you’re a little curious, please send an email. Ms Khalik will then hold a meeting after Chinese New Year for all the interested parents to get the planning started.